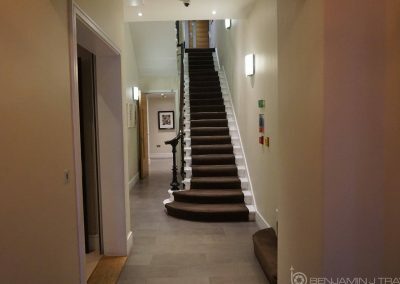 Listed in the top 100 hotels in London out of over 3,000 hotels on TripAdvisor, you can bet that I had some pretty high exceptions for The Nadler Kensington. 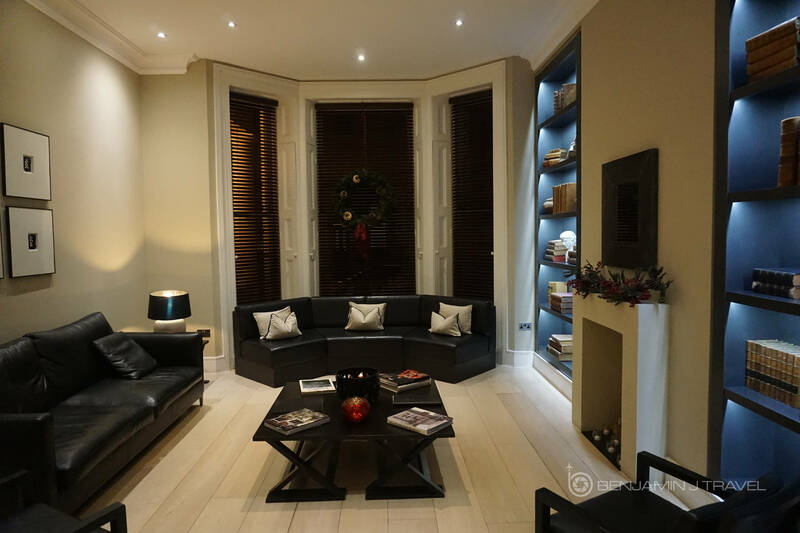 The west end of London is one of my favorite locations to stay in the city so it influenced my decision to book The Nadler Kensington. 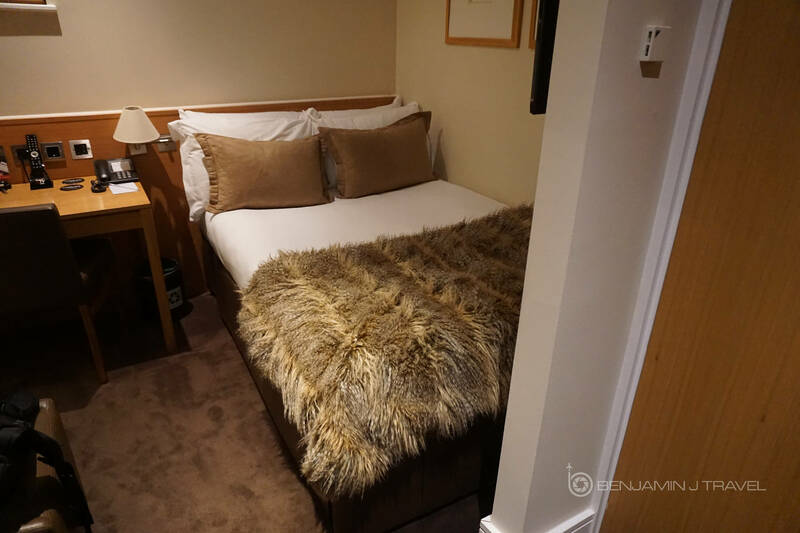 The rooms at the The Nadler Kensington are more like an apartment-style room than a traditional hotel room. 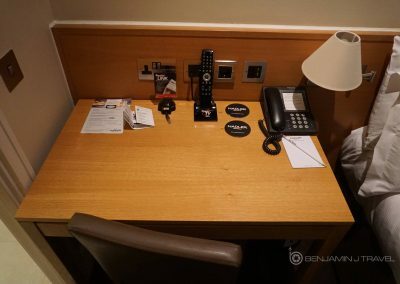 I had booked the room on Hotels.com for a cash rate of £91 per night which I’d consider to be very reasonable. 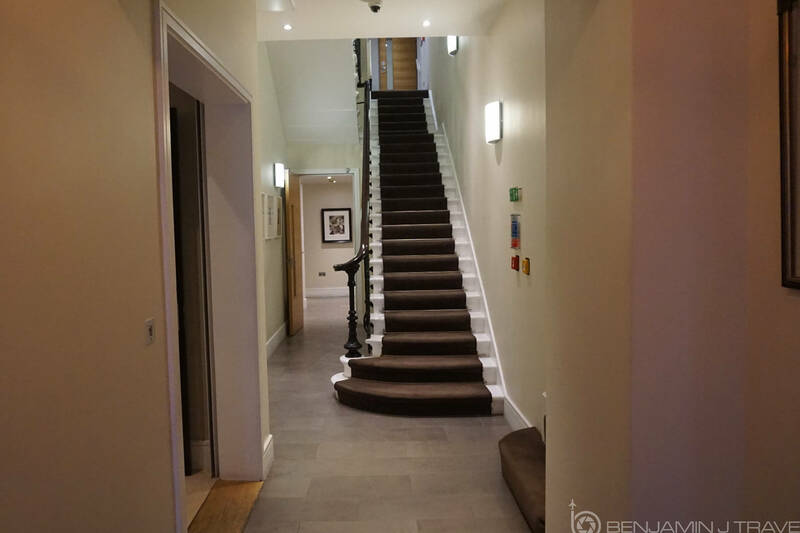 Located in Kensington on the west end of London, The Nadler Kensington is a short walk from the Earl’s Court tube station. 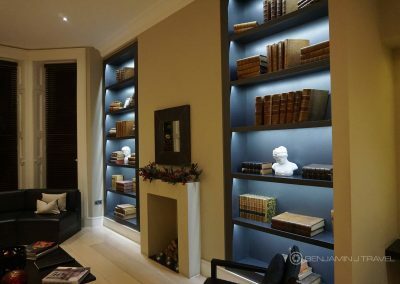 The location is a stone’s throw from Kensington Palace, the Natural History Museum, the Science Museum, and the Victoria & Albert Museum. I prefer this general area of London when staying in the city but in terms of location, I actually preferred the Vancouver Studios in Bayswater. 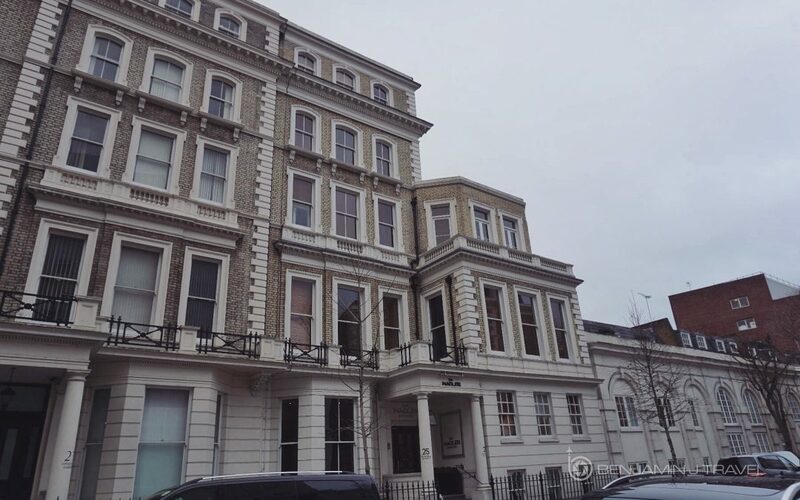 But if you desire easy access to Chelsea and Kensington, and the District or Piccadilly tube lines, The Nadler Kensington’s location will be a great option. We arrived late in the evening after taking the last Eurostar of the day from Paris. The front desk manager was friendly and welcoming. He took some time to walk us through the amenities of the hotel and explain the WiFi setup in the room. The lobby and the entire property are noticeably quiet. The lobby and common areas are reminiscent of a library with blends of traditional and contemporary style. Our rooms were on the lowest floor which is one floor below the lobby. We took the elevator down one level but keep in mind that there are a few steps to climb if your room is farther away from the elevator. The room itself was small but this was expected. 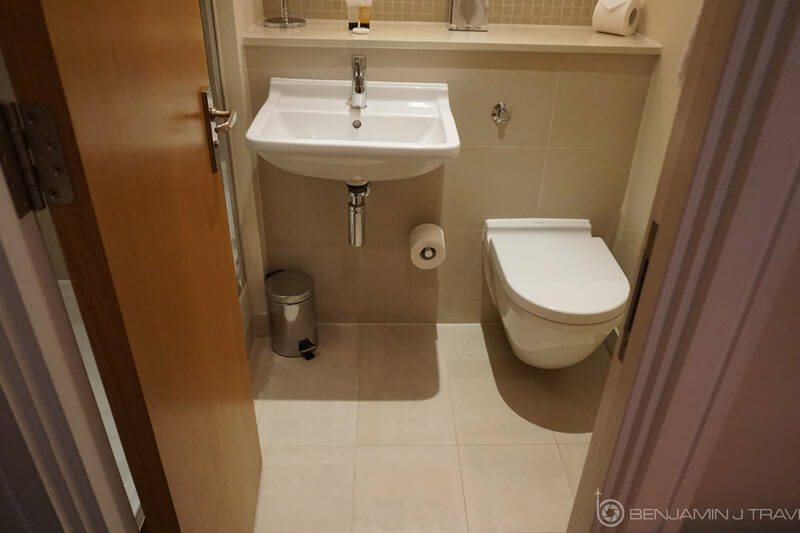 However, even with the tighter quarters, the space was efficient. 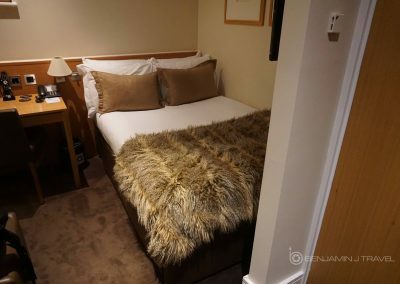 The double bed was tucked in the corner next to a desk and work space. 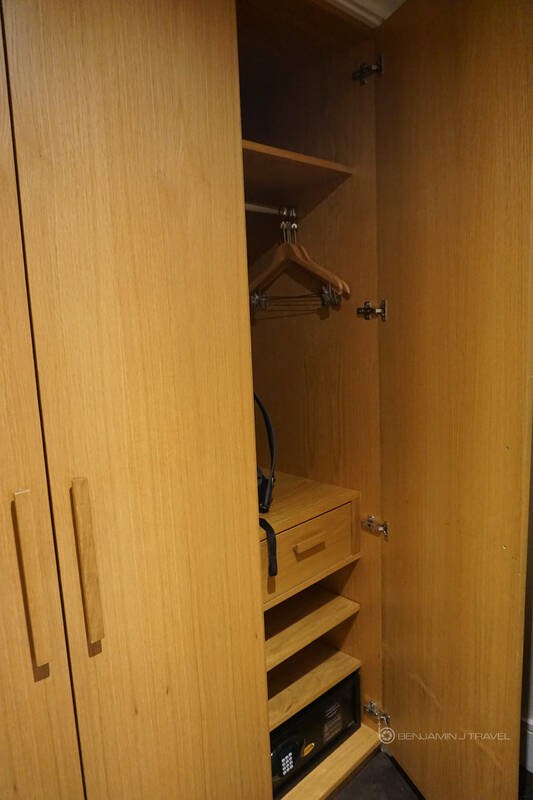 There was a large garment closet with an in-room safe and bag storage area. 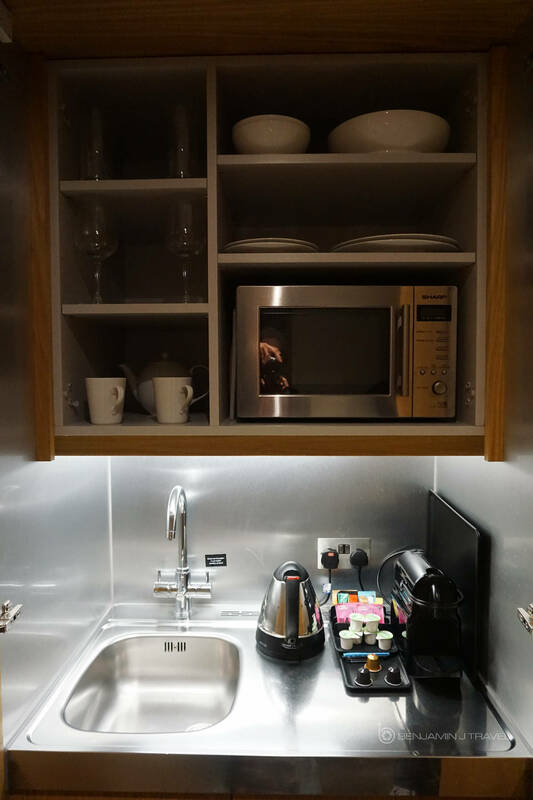 There’s a very compact kitchenette tucked into a closet which is handy for longer stays. 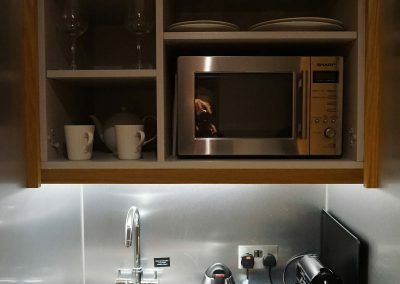 One noticeable amenity was a Brita filtered water faucet in the room. I’d never seen this before in a room and I though it was a really cool amenity. Bottled water can be expensive and wasteful so this was handy for staying hydrated. 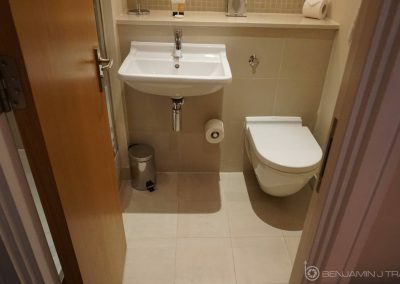 Even though the room was quite compact, the bathroom was reasonably sized. 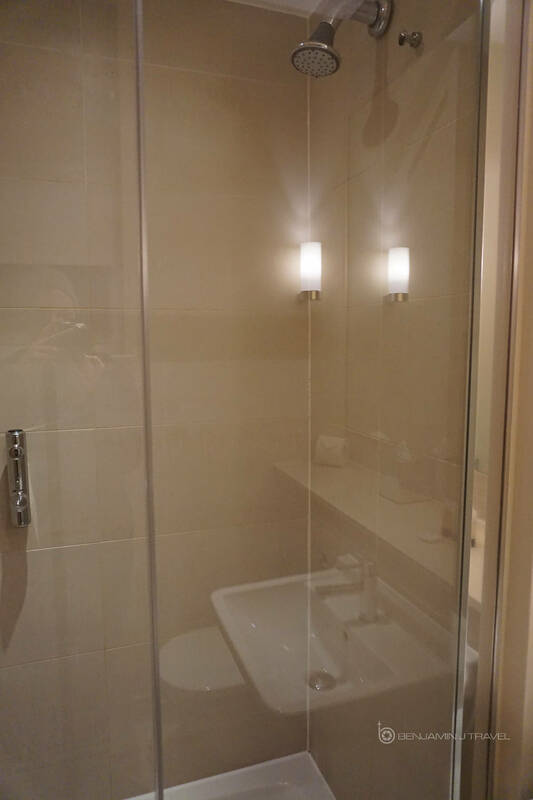 I liked the walk-in shower and spacious bathroom shelf for storing one’s toiletry items. The shower had nice water pressure and an interesting electric faucet. 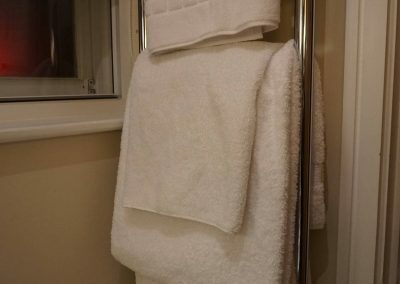 Everything was spotlessly clean throughout the room and the bathroom. The bed was comfortable and the linens were clean and fresh. 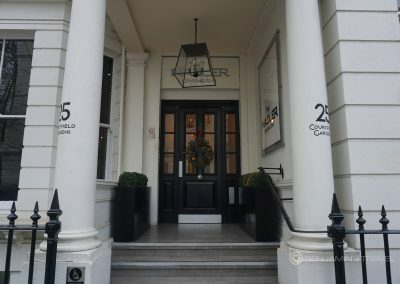 We stayed two nights at the Nadler Kensington and had no issues with the WiFi connection the fist night. However, late into the second night, the WiFi went out completely. 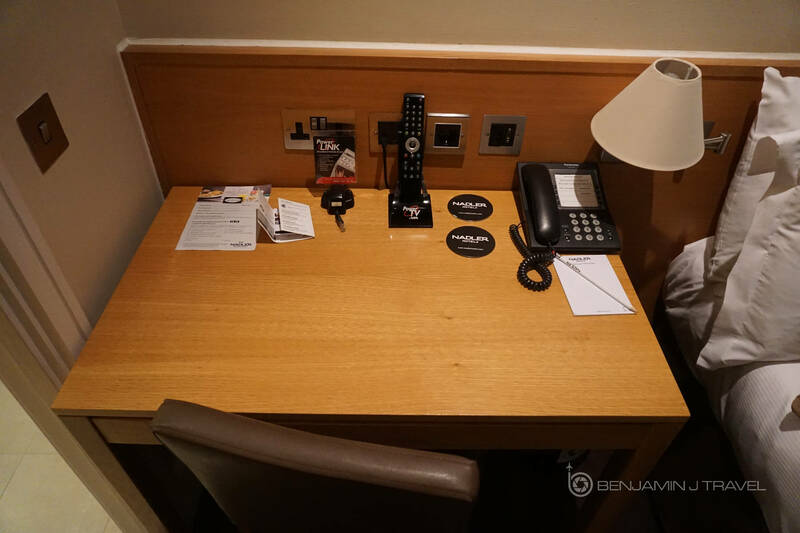 We reached out to the front desk and there wasn’t anything they were able to do. As the building is older, mobile service is a bit weak in the room without WiFi. 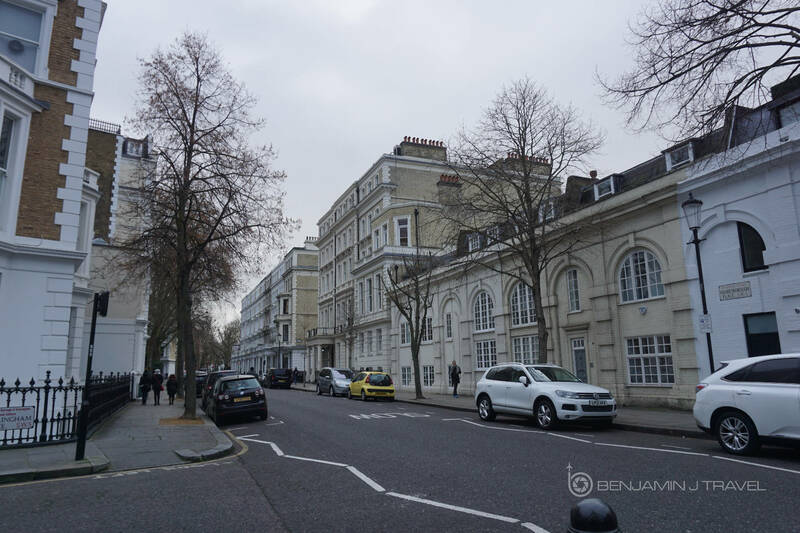 This was the noticeable issue we had with our stay at the Nadler Kensington. 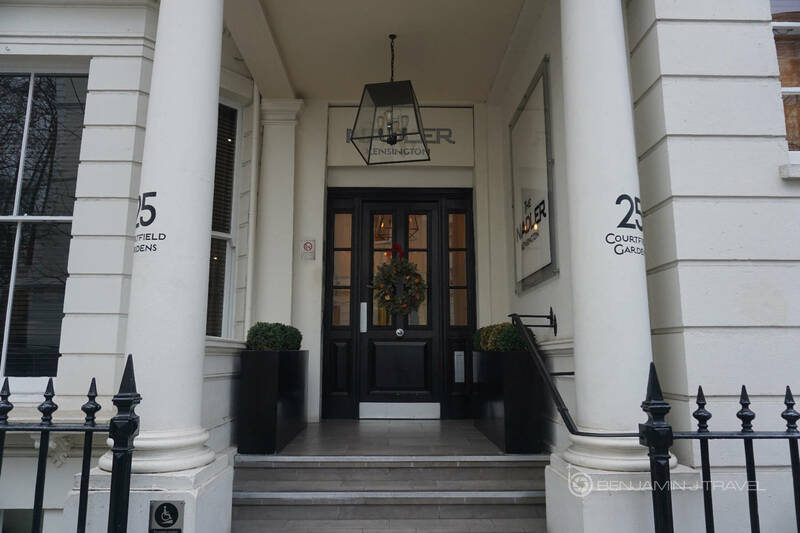 Overall, we had a nice comfortable stay at the Nadler Kensington. 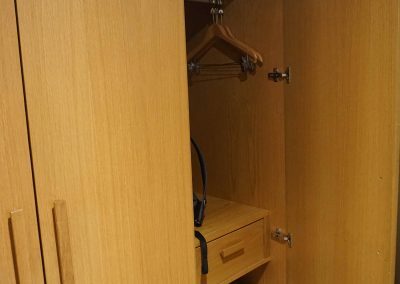 With the extra amenities like the kitchenette in the room, the apartment-style rooms are reasonable for a longer stay. I also appreciate the quiet nature of the hotel property and the surrounding neighborhood. 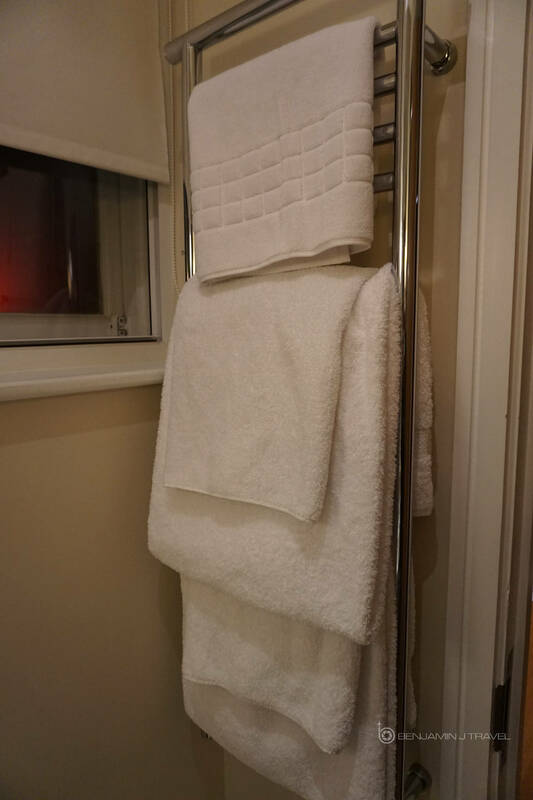 For the reasonable rate we paid, I was quite happy with the Nadler Kensington. 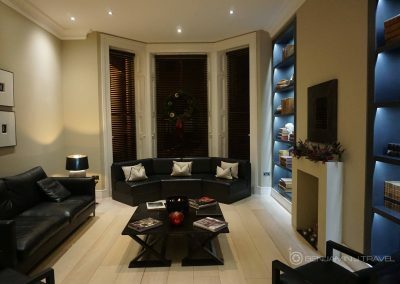 Wow, def a tiny space, but that’s to be expected in London. Looked lovely though, nice summary! Thanks! Yes, cozy but comfortable is the best description for this place.